Within the Yungdrung Bön tradition, there are the Five Buddha Families. Each deity is associated with specific colors, hand objects, wisdoms, elements. organs, impure aspects that are purified, etc. Here are listed a few of these characteristics along with a line of scripture from the prayer known to Western students as The Precious Garland, an aspirational prayer to support those who have recently died. Salwa Rangjung is associated with the Eastern direction. This deity is yellow in color, associated with the pure dimension of the element of earth and the consort is the khandro of the earth element. This deity is associated with Mirror-like Wisdom and the Yungdrung Family. Gawa Döndrup is associated with the Southern direction. 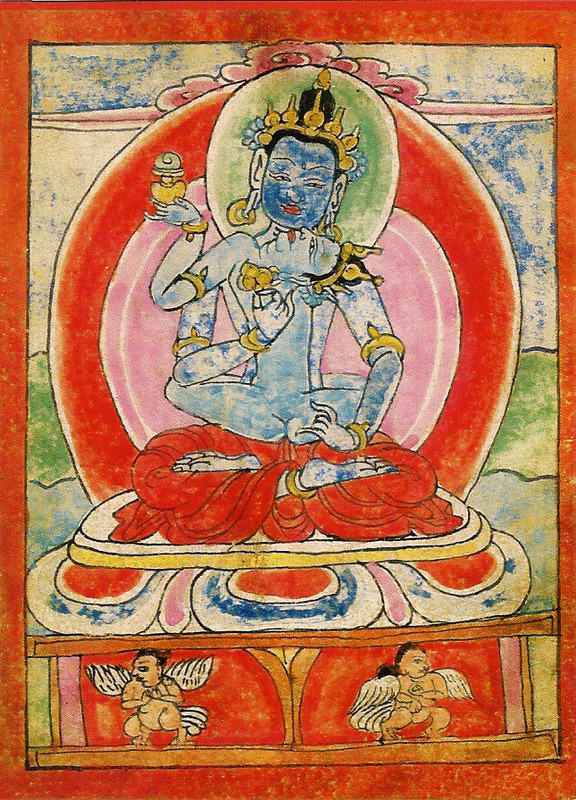 This deity is blue in color, associated with the pure dimension of the element of water and the consort is the khandro of the water element. This deity is associated with All-accomplishing Wisdom and the Precious Jewel Family. Jetak Ngomé is associated with the Western direction. 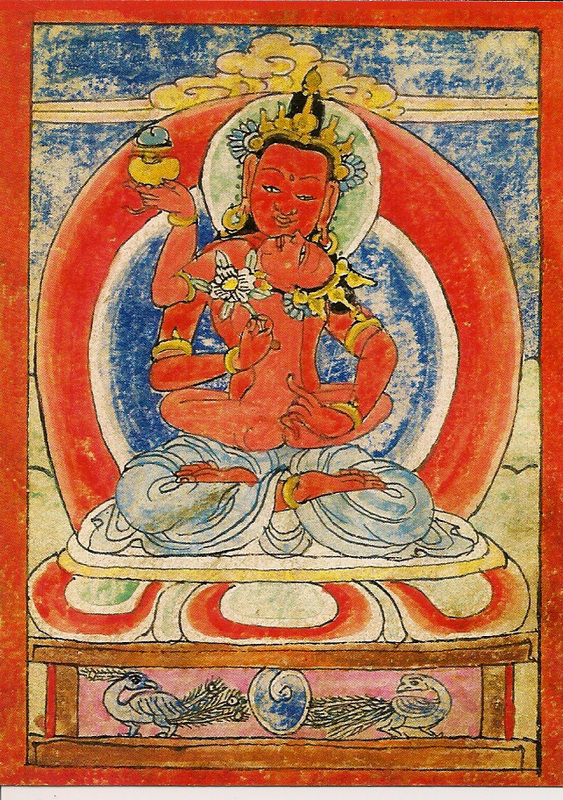 This deity is red in color, associated with the pure dimension of the element of fire and the consort is the khandro of the fire element. This deity is associated with Discriminating Wisdom and the Lotus Family. Gelha Garchuk is associated with the Northern direction. 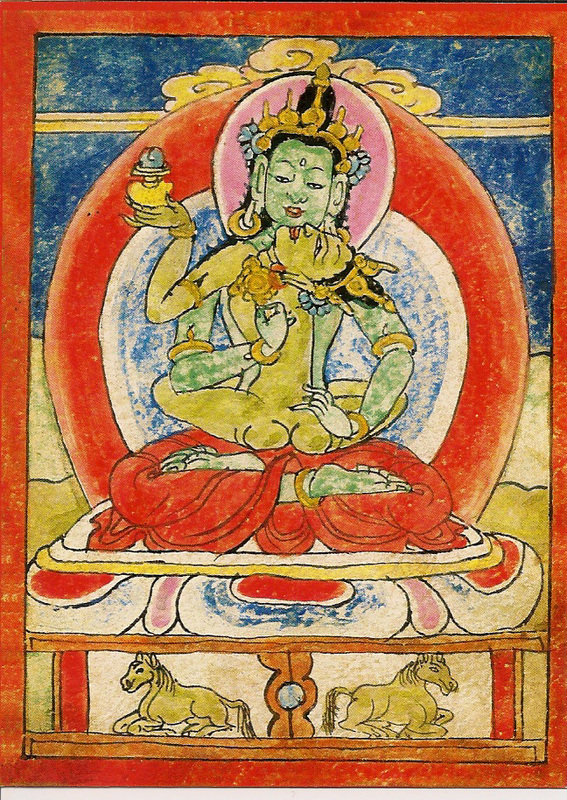 This deity is green in color, associated with the pure dimension of the element of wind and the consort is the khandro of the wind element. This deity is associated with the Wisdom of Equanimity and the Dharma Wheel Family. 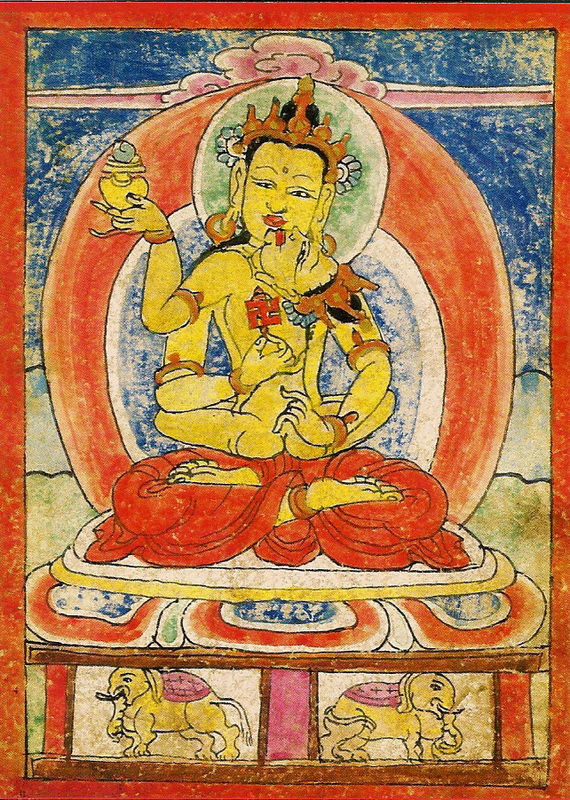 Kunnang Khyappa is the central deity of the Five Buddha Families. 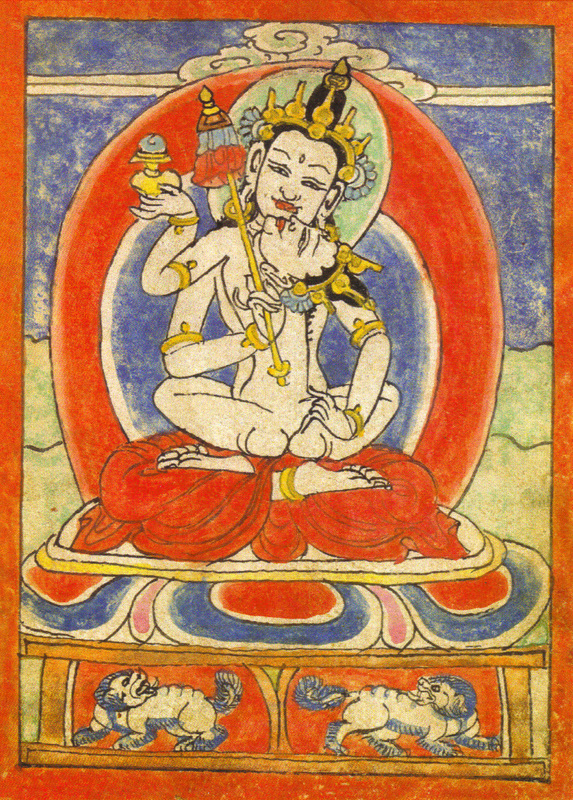 This deity is white in color, associated with the pure dimension of the element of space, and the consort is the khandro of space. This deity is associated with the Wisdom of Emptiness and the Suchness Family. Posted on June 13, 2015, in Five Elements, Iconography, Sacred Scriptures, Translation. Bookmark the permalink. Leave a comment.